Before Katie met Owen, the Magic, Spells, and Illusions, Inc., team already had a job to do. There’s spellcasting skullduggery at work in Manhattan, and Sam the gargoyle is on the case. This time, the shady spells look awfully familiar, like the work of outcast wizard Phelan Idris. There’s just no real evidence of his involvement, and without that, the MSI team can’t do anything to stop him from wreaking magical havoc in the city. 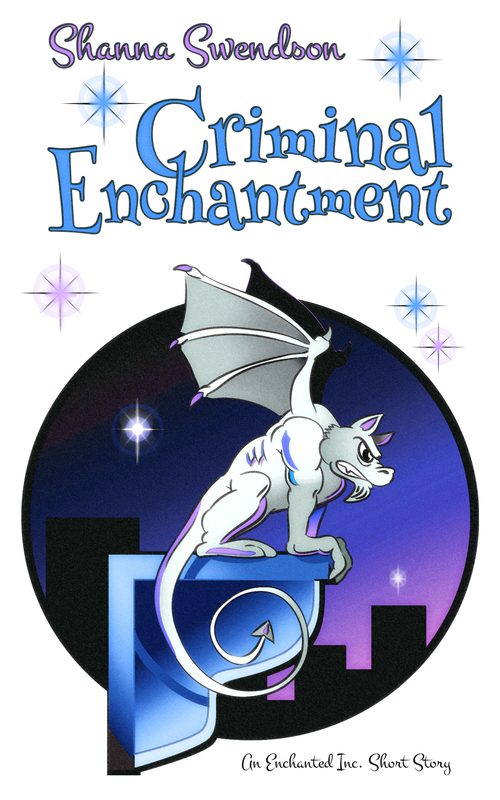 To track the criminal enchantments back to their source, Sam will have to rally his security gargoyle pals, do some old-fashioned sleuthing, and keep his wizard friend Owen Palmer focused on the case instead of on that cute girl he spotted at the bookstore. See the events that lead up to the beginning of Enchanted, Inc. in this Enchanted Universe novelette.